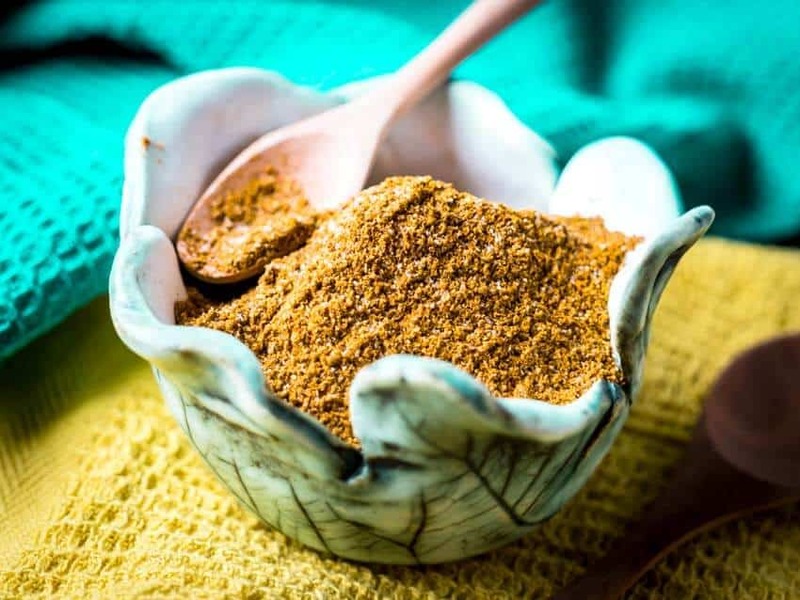 This is an easy recipe for a homemade Tandoori Spice Mix. It needs only 10 ingredients and 5 minutes to throw together. It’s Gluten-Free, Paleo, Low-Carb, Keto and Whole 30 friendly. To skip straight to the recipe, click the awesome little “Jump To Recipe” button above, but don’t be too hasty, as the post contains all my tips and tricks. 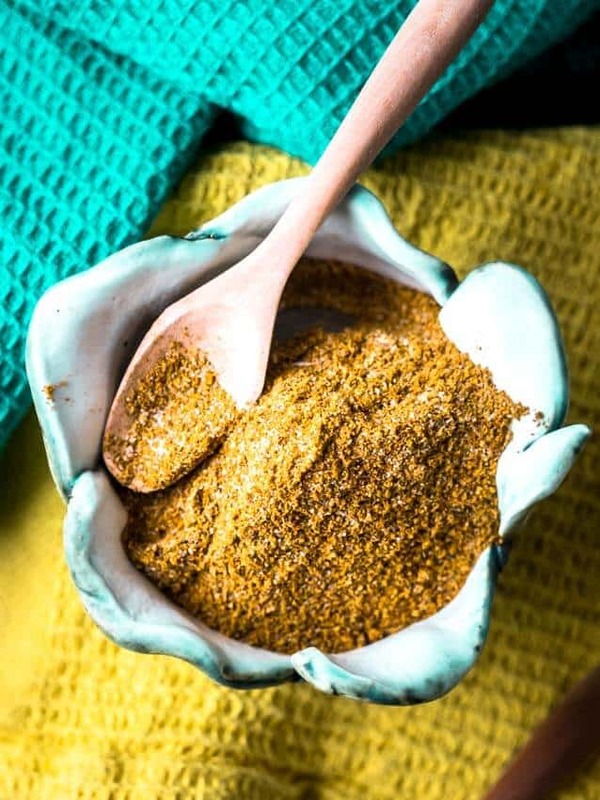 Creating our own, mild Tandoori Spice Mix came about when we were looking for an interesting and different way to cook some frozen fish for dinner one night. We were feeling a little lazy and the fish had been sitting in the freezer for a while, waiting for days just like this. 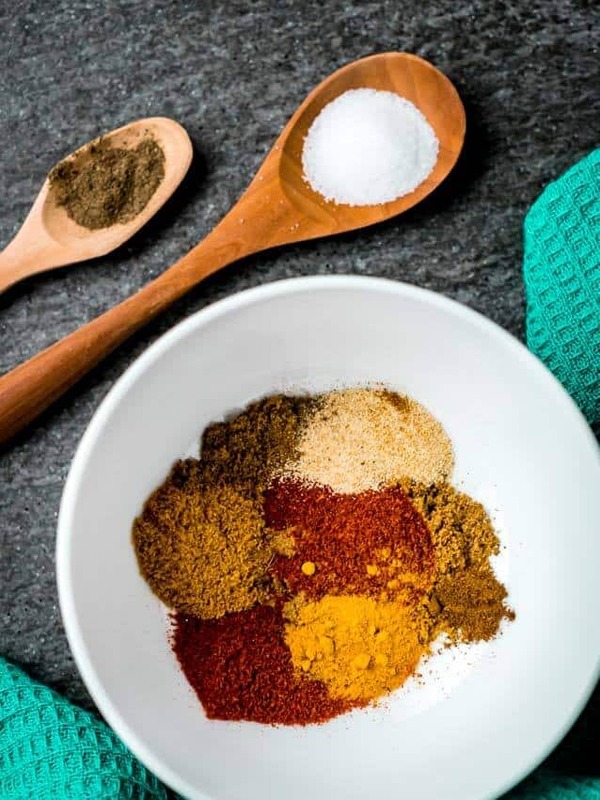 After a little bit of googling, we threw together a Tandoori spice mix and cooked a deliciously easy weeknight meal that tasted great thanks to this blend of spices. Making your own spice blends are always better, in my opinion. You can control the salt content and ensure there are no added sugars, starches or MSG in the mix. Take a look at the label of store-bought spice mixes next time you cook. You’d be surprised to find that they most always have plenty of unnecessary ingredients added. Making your own ensure you know EXACTLY what you’re eating. What Is Tandoori Spice Made Of? This mixture of spices is also used to make Tandoori Paste. This spice blend is then mixed with lemon or lime juice and yoghurt to form a paste. You can use the spice mix as a rub, and the paste as a marinade. What Does Tandoori Spice Taste Like? These main ingredients are mixed together, sometimes with lemon juice and often ground with a mortar and pestle. 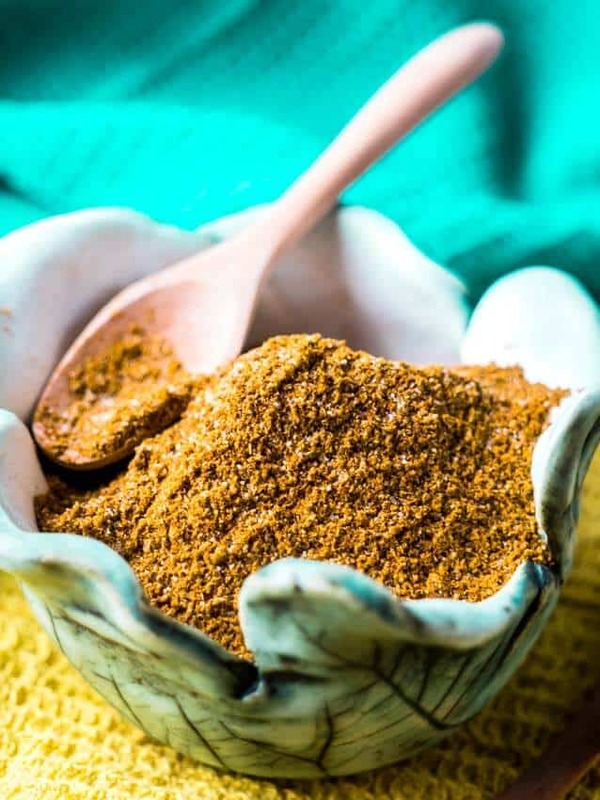 It is a spicy seasoning and this blend of spices is what gives Tandoori its very unique flavor. Since the Tandoori Spice Blend contains a good amount of cayenne pepper, it is traditionally a very spicy blend. 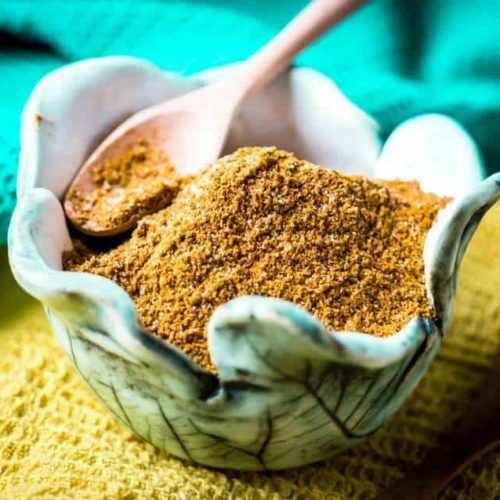 In the case of our Tandoori Seasoning Mix Recipe, we toned the spice down down a little bit, to make it suitable for our whole family to eat, which includes our two year old. Making a Tandoori Spice Mix is as easy as combining a mixture of spices. Something we like to do, to really blend the spices together is to give the mix a whirl in our mortor and pestle. It’s does a great job truly blending the different spices and unlocking their flavors. To make a Tandoori Rub, all you need to do is use your already made Tandoori Seasoning Blend, and mixing it with either yoghurt or lime juice – or both!